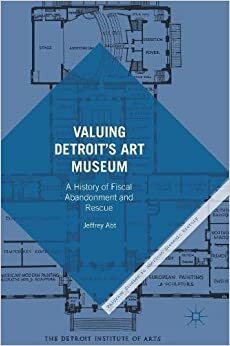 This book explores the perilous situation that faced the Detroit Institute of Arts during the city's bankruptcy, when creditors considered it a "ssential asset" that might be sold to settle Detroit's debts. It presents the history of the museum in the context of the social, economic, and political development of Detroit, giving a history of the city as well as of the institution, and providing a model of contextual institutional history. Abt describes how the Detroit Institute of Arts became the fifth largest art museum in America, from its founding as a private non-profit corporation in 1885 to its transformation into a municipal department in 1919, through the subsequent decades of extraordinary collections and facilities growth coupled with the repeated setbacks of government funding cuts during economic downturns. Detroit's 2013 bankruptcy underscored the nearly 130 years of fiscal missteps and false assumptions that rendered the museum particularly vulnerable to the monetary power of a global art investment community eager to capitalize on the city's failures and its creditors' demands. This is a remarkable and important contribution to many fields, including non-profit management and economics, cultural policy, museum and urban history, and the histories of both the Detroit Institute of Arts and the city of Detroit itself. Despite the museum's unique history, its story offers valuable lessons for anyone concerned about the future of art museums in the United States and abroad.